FastMed Urgent Care is the perfect place for you to quickly and conveniently take care of your immediate health care needs. If you are dealing with a non-life-threatening condition, such as illness, injury, or infection, our new urgent care clinic in Roxboro, NC is a fast and affordable option. FastMed does not require you make an appointment, and our quality healthcare is often faster and less expensive than a trip to the ER. We accept most major insurance plans to ensure that you get the treatment you need at a low cost to you. FastMed has highly trained medical professionals who are at your service when you need it most. We understand that isn’t always 9-5, Monday through Friday. FastMed has a clinic in Roxboro, NC that’s right around the corner. Since you don’t have to make an appointment you can come in for care whenever is most convenient for you, without having to go through the hassle of scheduling or canceling appointments. 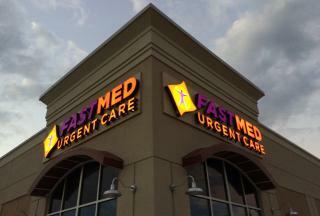 FastMed Urgent Care’s walk in clinic in Roxboro, NC is open from 8:00 am to 8:00 pm during the week, and from 8:00 am to 4:00 pm on the weekends. At FastMed, our goal is to get you in and out within an hour so you don’t have to take too much time out of your busy schedule. You may even be able to shorten your wait time by using our online ZipPass system. ZipPass displays the next available check in times, which is usually a time when we are at our lowest patient volume. FastMed is also open 365 days a year with extended hours, so quick and quality healthcare is almost always available to you. We understand that sometimes illness, infection, or injury can strike at the most inconvenient times. FastMed’s compassionate healthcare professionals strive to get you the medical attention you need when you need it.